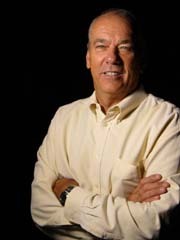 Mike Vasilinda received a Walter Cronkite Award for Excellence in Political Television Journalism in 2005 for his enterprising coverage of the controversial “Felons List” during the 2004 election cycle. Mike holds a Master’s of Science in Applied American Politics and Pollicy from Florida State University where he also earned a Bachelor of Science in Social Science with minors in economics and political science. January 9, 2017 marks the 45th legislative session Mike will cover. Mike Vasilinda began his career covering Florida Politics while still a student at Florida State University. In January 1974, he founded what is today Florida Public Radio’s Capitol Report, a thirty minute weekly wrap up of legislative news. Soon thereafter, Ray Wise hired Mike to do freelance radio reporting. Mike is the longest continuously-serving member of the Capitol Press Corps, although Bill Cottrell was here in 1969, left, and returned. In 1975, Capitol News Service was founded. Back then news was shot on 16mm film and had to be shipped to Tampa, Miami, and Orlando on a noon flight to allow for processing in time for the evening news. Jacksonville’s film was shipped via a Greyhound Bus. Mike purchased video equipment in 1978 and switched from receiving 20 dollars for each story that was used to receiving a monthly retainer. Satellite delivery arrived in 1982. 1983 Mike purchased a Sony BetaCam, the 3rd such unit in Florida. The camera remained the industry workhorse into the 21st century. Today, Capitol News shoots all digital P2 High Definition cameras, Sony HDV, and the Sony F900 Cinealta. Today, Capitol News Service provides high definition live shots via the LTN network and can field multiple crews and provides daily coverage to clients via a secure FTP site. In addition to Capitol News Service, Mike is the president of Mike Vasilinda Productions (MVP), which is a full service video production company located in Tallahassee. The company produces award winning commercials, television shows, marketing and training video, and all things television. Representatives for District 9, which covers parts of Leon County. Michelle was re-elected on November 2, 2010, and again in November 2012 and 2014. Her term ended on November 8, 2016.